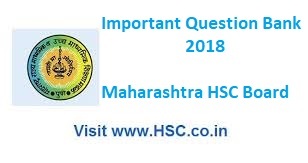 After the tremendous success of our past years Important Questions Bank for Maharashtra HSC Board Exam 2016 and Most Important Questions Bank for Maharashtra HSC Board Exam 2017 ,we have created 51 Most likely question for HSC Board 2018. 1. What is an individual test? 2. Family influences on the development of personality. Give Reasons. 3. What is Persuasive Communication? 4. Explain various psychotherapeutic techniques of mental disorder. 5. State the Advantages and disadvantages of participant observation. 6. State the importance of body language in communication. 7. Write a short note on crowding. 9. Listening is equally important as speaking. Give reasons. 10. What is an IQ? 12. What is Abnormality? Explain the classification of Mental disorder. 13. What is an Interview? 14. Group polarization leads to risky decision. Give reasons. 15. Explain Stress Management Techniques. 16. Explain major psychological disorder. 17. Feedback plays an important role in communication process. Give reasons. 19. Write a short note on promoting pro-environmental behavior. 20. Explain Big-Five Factor Model of Personality. 21. What is an Imitation? 22. Explain the trait approach of personality. 23. Verbal Test of Intelligence cannot be given to an illiterate person. Give reasons. 24. Explain the factors influencing personality. 25. Write a short note on strategies for handling prejudice. 26. What qualities a Psychologist should have? 27. Explain the sources of stress. 28. Managing time effective helps to reduce stress. Give reasons. 29. What is instrumental conditioning? 30. Explain the balance theory. 31. Write a short note on history of Intelligence Testing. 32. Explain the dynamics of social influence. 33. What are stages of communication process? 35. Does exercise help reduce stress? Give reasons. 39. Discuss the natures and information of a group. 42. What is imitation or modelling?